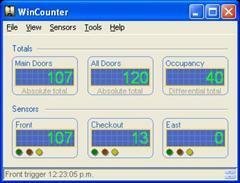 WinCounter Professional Edition is people counting software for use in business. It receives information from people counting sensors that count people as they walk through your doors. The exact date and time of every count is saves to a data file so you can analyse it later. The Professional Edition includes a licence to run the WinCounter Reporting software which produces reports and graphs that analyse the data. The Standard Edition of WinCounter is a cut down version that is suitable for small single entrance businesses. It does not have many of the advanced features found in the Professional Edition. It will display and store count data from a single sensor. It includes a licence to run WinCounter Reports. WinCounter Professional and Standard Editions come with a licence to run WinCounter Reports on the computer WinCounter is installed on. You can purchase additional Reporting Edition licences if you wish to run reports from other workstations as well. 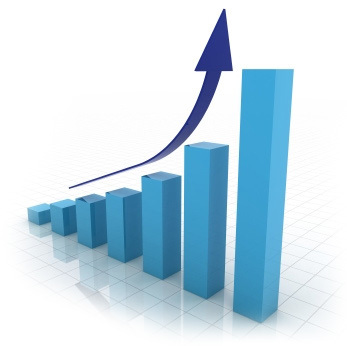 WinCounter produces a variety of different reports that can be configured to suit your requirements. If you need a special report, registered users can do ad-hoc analysis of data using a product like Microsoft Access or Microsoft Excel. If you have a special requirement but don't want to build your own reports, we can build customised reports that will allow you to use WinCounter in a special situation. Please contact us if you wish to discuss custom reports. The WinCounter Head Office Utility is an add-on module which can consolidate people counting data from a number of sites into a central database. This is useful if you have several stores with WinCounter installed and you want to view consolidated reports on the foot traffic data from a central head office location. The Head Office module requires a Professional Edition WinCounter installation on each store that is contributing data. The software at each store is configured to send updates with the latest data to head office on a schedule. Please contact us if you would like more information on the WinCounter Head Office module.